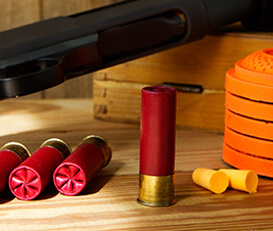 We are very aware that there are a lot of people who would perhaps like to try Clay Pigeon Shooting, but may find certain aspects of the whole process rather intimidating. 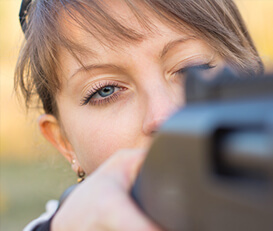 Whether the terminology, the noise, the recoil, the group aspect of most larger grounds, there are many aspects that can seem daunting to a novice. 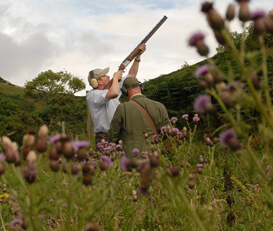 With this in mind Clay Pigeon Scotland runs a series of “Experience Days” where you can come along to our friendly, intimate site in the hills above Stirling and, along with other novices, experience the fun of Clay Pigeon shooting. With a range of shotguns and cartridges to suit everybody (no worries about recoil!) 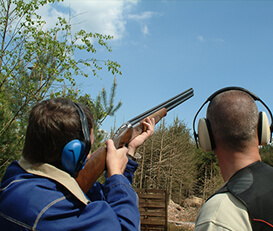 our experienced instructors will help you to learn the basics of clay shooting whilst simultaneously enjoying the experience. These days are “novice only” (with the exception of our instructors obviously!) and each instructor will be looking after only a very small group, oftentimes one instructor to two persons. To find our more please contact us through the enquiries form for details.